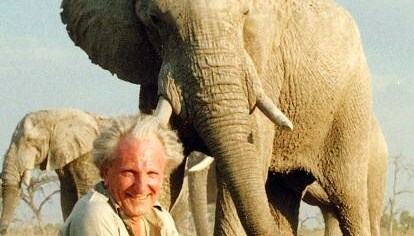 The Founder, David Shepherd, is known internationally as an artist and ambassador for wildlife. In 1960 he became a conservationist overnight when he came across 255 zebra lying dead around a poisoned waterhole in Tanzania. Since then, with the help of supporters across the world, the David Shepherd Wildlife Foundation (DSWF) has given away over £5million in grants to save critically endangered mammals in their wild habitat and benefit the local people who share their environment. David Shepherd Wildlife Foundation as an adaptable and flexible, non-bureaucratic organisation supports a range of innovative, vital and far-reaching projects throughout Africa and Asia, achieving real results for wildlife survival. The Foundation supports sending undercover agents into the field to investigate illegal wildlife crime, training and supplying anti-poaching patrols. It has helped establish nature reserves and other protected areas and works with governments to establish conservation laws and regulations. The Foundation educates wildlife consumers about the plight of the animals they ‘use’ and teaches young people about endangered wildlife through art and school projects.